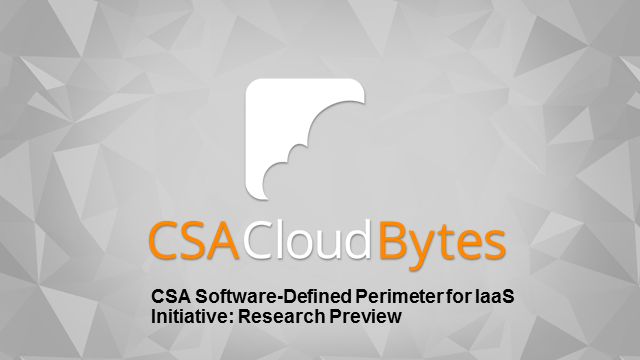 Since March 2016, when the CSA launched this new Software-Defined Perimeter for IaaS initiative, more and more organizations have embraced the Software-Defined Perimeter model and are benefitting from the seamless protection it offers, whether on-premises or in the cloud. SDP can better protect IaaS services for Enterprise usage, and deliver uniform and seamless protection of on-premises and IaaS resources, enabling cost savings and agility, and a more dynamic infrastructure. In this webinar, the leaders of the SDP-for-IaaS initiative will provide a preview of the forthcoming research and use cases that this working group has developed. This research focuses on how SDP can uniquely address security, compliance, IT administration and management challenges for cloud service providers and enterprises alike. If you’d like to hear more about securing your IaaS workloads, you’ll want to attend!